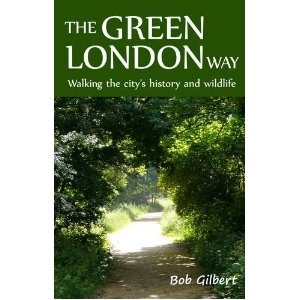 The Green London Way is a different way of looking at London: a walking route of over 110 miles encircling London -and divided into 18 separate and easily manageable sections. The original edition, published in 1991, was the first long-distance footpath around London and one of the very first entirely urban long-distance footpaths in the country. More than just a walking route, however, it was a journey through the city's social and natural history and especially the lost stories of the people who live, or once lived, here. More than anything else, it provided a testament to the open spaces of London and to those who have struggled, over many generations, to preserve them. May 2012 saw the publication of a new and thoroughly revised edition with significant changes -and improvements- to the route, and the launch of this website to accompany it. A living and dynamic city -and London is one of the most dynamic in the world - is inevitably subject to rapid change and never more so than at the moment, with huge development pressures increasing density and uprooting many old communities. It is intended that this site will provide an easy way of up dating information on the route and of recording any changes -whether temporary or permanent- starting, of course, with those imposed during the duration of the Olympic and Paralympic Games. It will also provide information on talks and activities related to the route. Over the twenty one years since the first edition was published, many walkers have written in letting us know when they have completed the entire route -one even sending a list of every pub encountered along the way. We would love to continue marking the achievement of all those who complete the whole route, creating a sort of 'hall of fame' of those who have walked every one of its110 miles. Keep in touch -and happy walking.